QR code (abbreviated from Quick Response Code) is the trademark for a type of matrix barcode (or two-dimensional barcode) first designed for the automotive industry in Japan. Bar codes are optical machine-readable labels attached to items that record information related to the item. Initially patented, its patent holder has chosen not to exercise those rights. Recently, the QR Code system has become popular outside the automotive industry due to its fast readability and greater storage capacity compared to standard UPC barcodes. The code consists of black modules (square dots) arranged in a square grid on a white background. ZXING is a Multi-format 1D/2D barcode image processing library with clients for Android, Java. It is an open-source, multi-format 1D/2D barcode image processing library implemented in Java, with ports to other languages. Our focus is on using the built-in camera on mobile phones to scan and decode barcodes on the device, without communicating with a server. However the project can be used to encode and decode barcodes on desktops and servers as well. 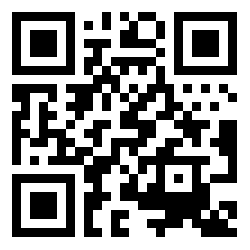 Here is a simple Java Code which generates QR code for you. Which library do I have to download? If you have Maven project then include this dependency. Once you download it you have to include it into your project’s classpath. How to add .jar file to Project Build Path in Eclipse.